EGO 56v tools available in this exchange. Exchange one, two, or three old gas Machines for one, two, or all three EGO 56v tools! 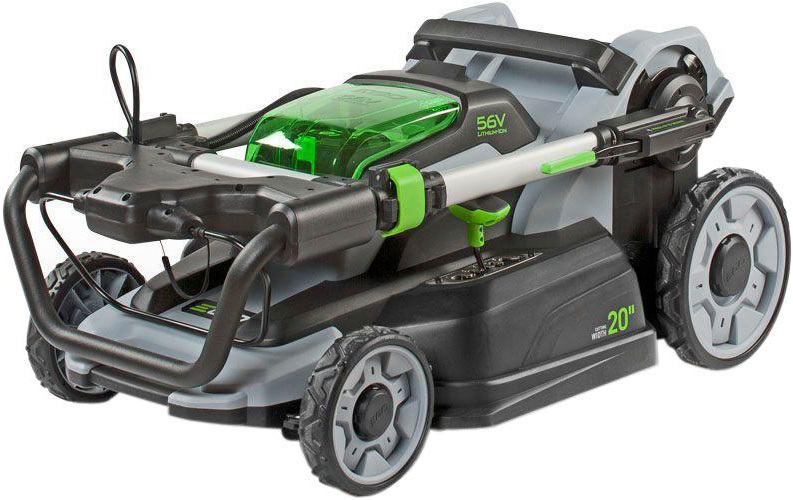 The most advanced rechargeable mower on the market today. The next big step up in power and convenience for cordless blowers. This is the most powerful cordless blower in the industry. The 15" EGO POWER+ String Trimmer features the new Rapid-Reload system to quickly and easily load new cutting line. EGO offers the best warranty in the industry: Five year limited warranty on equipment and three year limited warranty on battery packs and chargers. Please contact EGO customer service at 1-855-EGO-5656 with questions or claims, Mon - Fri 5:30 a.m. - 5 p.m. PST, Sat - Sun 7 a.m. - 3 p.m. PST. FOR FIVE YEARS from the date of original retail purchase, this EGO product is warranted against defects in material or workmanship. Defective product will receive free repair. 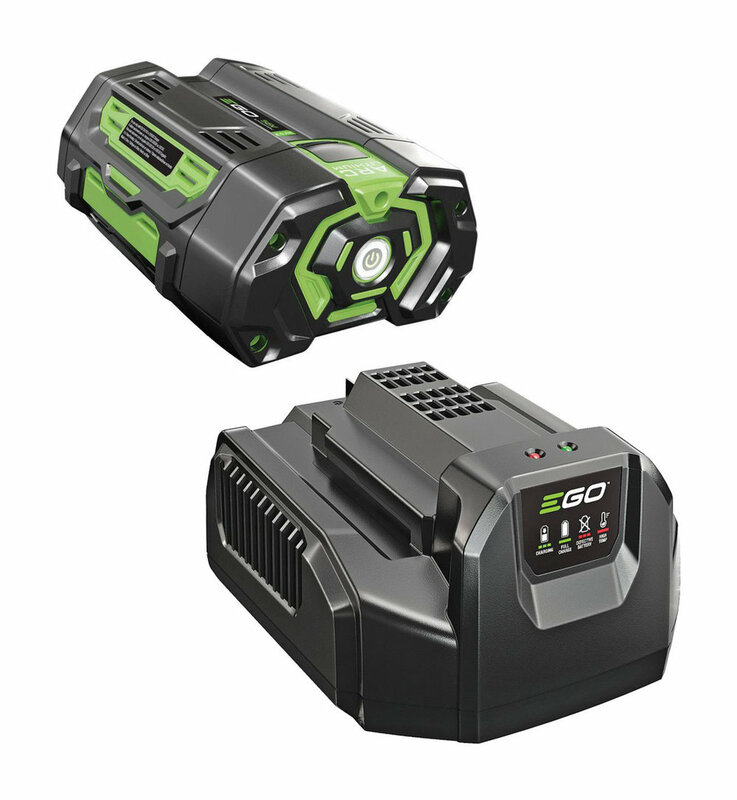 FOR THREE YEARS from the date of original retail purchase, the EGO POWER+ System battery pack and charger are warranted against defects in material or workmanship. Defective product will receive free repair. This warranty applies only to the original purchaser from an authorized EGO retailer and may not be transferred. Authorized EGO retailers are identified online at http:// egopowerplus.com/pages/warranty-policy. The warranty period for any EGO product, battery pack and charger used for industrial, professional or commercial purpose is one year. The warranty period for reconditioned or refurbished products used for residential purpose is 1 year, for industrial, professional or commercial purpose is 90 days. The warranty period for routine maintenance parts, such as, but not limited to, blades, trimmer heads, chain bars, saw chains, belts, scraper bars, blower nozzles, and all other EGO accessories is 90 days for residential purpose, 30 days for industrial, professional or commercial purpose. These parts are covered for 90/30 days from manufacture defects in normal working conditions. This warranty is void if the product has been used for rental purpose. This warranty does not cover the damage resulting from modification, alteration or unauthorized repair or from use of any cutting line other than standard nylon cutting line with a diameter that does not exceed 0.095 in. (2.4 mm) recommended for use with this product. This warranty only covers defects arising under normal usage and does not cover any malfunction, failure or defect resulting from misuse, abuse (including overloading of the product beyond capacity and immersion in water or other liquid), accidents, neglect or lack of proper installation, and improper maintenance or storage. This warranty does not cover normal deterioration of the exterior finish, including but not limited to scratches, dents, paint chips, or to any corrosion or discoloring by heat, abrasive and chemical cleaners. For warranty service, please contact EGO customer service toll-free at 1-855-EGO-5656. When requesting warranty service, you must present the original dated sales receipt. An authorized service center will be selected to repair the product according to the stated warranty terms. When bringing your product to the authorized service center, there may be a small deposit that will be required when dropping off your tool. This deposit is refundable when the repair service is deemed to be covered under warranty.